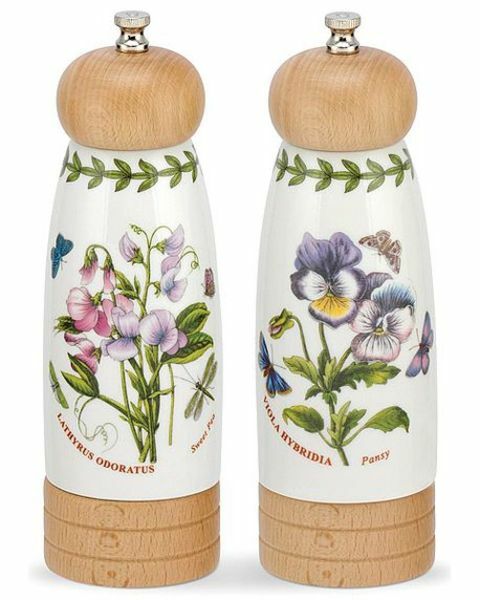 Light Wood Salt And Pepper Mills. 19cm Tall. Beautiful porcelain-bodied mills with light wood trims. A ceramic grinding mechanism ensures a high quality action.